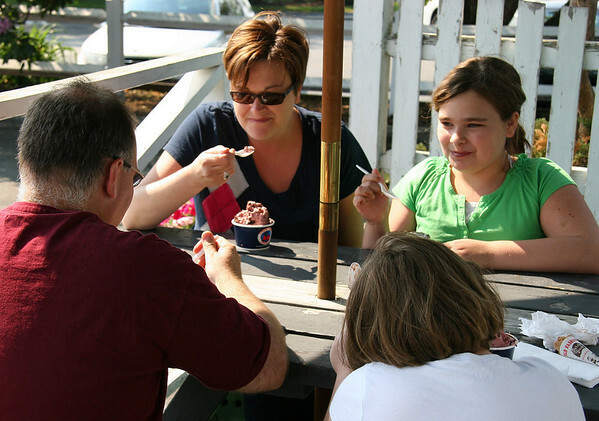 Heather Panico, left, and Elizabeth enjoy ice cream at the Cherry Farm Creamery on Conant Street in Danvers on Memorial Day. Photo by Mary Catherine Adams/Salem News. , Heather Panico, left, and Elizabeth enjoy ice cream at the Cherry Farm Creamery on Conant Street in Danvers on Memorial Day. Photo by Mary Catherine Adams/Salem News.